Import files from your Camera Roll, Email or another App through "Open In". 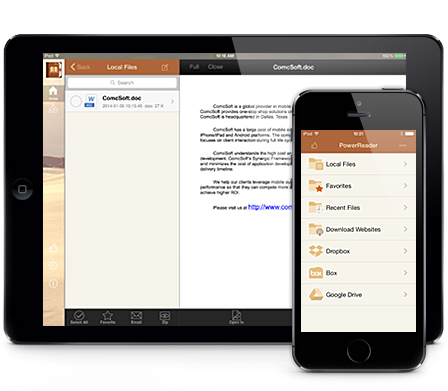 Send and download files to/from Dropbox, Box, and Google Drive. (Upgrade required).